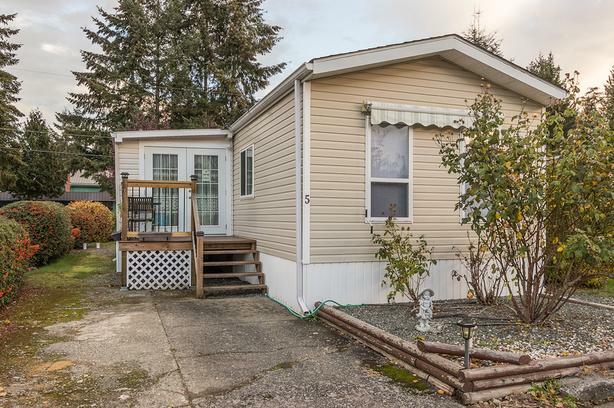 Manufactured home in Evergreen Place 55+ park in Duncan. Maintenance free exterior, minutes from Duncan Hospital in a country setting with 3 decks and closed in porch with 2 entrances. Brand new - exterior door, water heater, kitchen countertop, faucet and fridge, hardwood flooring in bedrooms, flooring, light fixture and shower head in bathroom, outlets, switches, light fixtures and paint throughout, LED lighting fixture in dining area and 2 decks. Newer - roof, 200 amp service, double oven, dishwasher and decks. Includes washer and dryer. More pictures available upon request. $125,000 or responsible offer.